This 'long' form (so-called to distinguish it from more recent 'short' forms) is traditionaly considered to consist of 108 movements. These movements derive from the martial arts. It develops all the basic principals of Tai Chi: balance; centeredness; empty vs. full (wieghted & non-weighted); alignment; careful attention to precise movement; rootedness of the legs; flexibility of the waist; sinking one's energy to the 'tantien'; internal stillness; smooth movement rhythms, etc. It consists of three 'stages' of increasing length and difficulty. Traditionally the Sword Form is composed of 32 movements divided into four stages. It is very subtle, nuanced and graceful and drwas particular attention to the movements and positions of the hands as they are expressed by the sword and 'sword-finger'. The traditional Tai Chi staff form was taught by Master Lee. It is short and energetic and extends the flow of chi into a wide sphere of space. We also practice a two person exercise in sensitivity and responsiveness which is known as push hands. This can be done with either one or two hands and in its more advanced stages actively incorporates the movements of the Tai Chi Chuan form into a sparring martial-arts like exercise. A Slow Discourse On Push Hands from Peter Lim. There is a Tai Chi Sabre Form which we hope to start teaching in the near future. It is very energetic, balance intensive and develops the concepts of attack and retreat very ably. 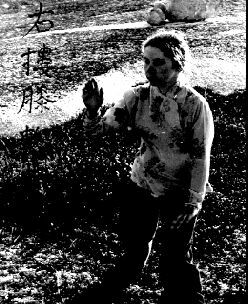 There are many other Tai Chi Chuan exercises such as the Eight-diagram Palm, Spear Forms and various shortened forms which we do not practice.